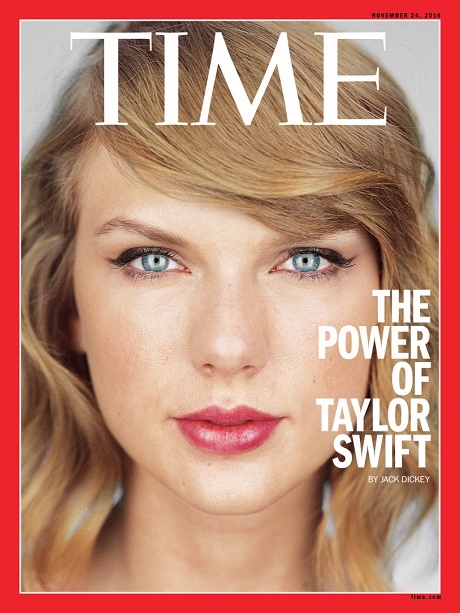 Taylor Swift Time Magazine Interview: Claims She Has No Female Role Models In Music Industry – Making More Enemies! Taylor Swift and Katy Perry have already outed themselves as mortal enemies, but Taylor covers the new issue of Time Magazine and reveals that she has zero female role models in the music industry. Um… ok, not to harsh on Taylor’s ‘pity me’ vibe here, but it’s equally as difficult for women in film AND music. However, Taylor does have a lot of actress friends whereas her musician friends are few and far between. Honestly, I think a large part of that has to do with competition, and how Taylor finds it difficult to stay friends with someone that she’s directly competing with. That’s why you always see her with models and actresses, but rarely other singers – especially female singers. Now, Taylor Swift admitting this out loud isn’t going to be making her any more friends in the music industry, but it doesn’t look like she cares. This is a new Taylor Swift we’ve been seeing recently – the confident, no BS one that doesn’t sing about boys all the time. In all honesty, I like this Taylor Swift. She’s got the balls and panache to last in the music industry, and she’s proving that she has what it takes to stay successful – and part of that includes not trusting anyone who can bring you down. Do you guys agree? Let us know your thoughts in the comments below. Taylor Swift Flies To London To Win Harry Styles Back, Desperate Or Cute? Taylor Swift Has Crush On Chris Martin – Stealing Him From Jennifer Lawrence?